When former Ohio State head coach Urban Meyer announced his retirement, it was a natural thought that his next role would be on TV. Even though he recently signed on to co-teach a “character and leadership course” at Ohio State, Meyer was at ESPN in between Florida and Ohio State coaching jobs in 2011 and a return to TV seemed like a realistic possibility. That may be the case according to Michael McCarthy of the Sporting News. While a network spokeswoman declined to comment to McCarthy, his sources told him that “Fox Sports is close to finalizing a deal” with Meyer to bring him on in some capacity. 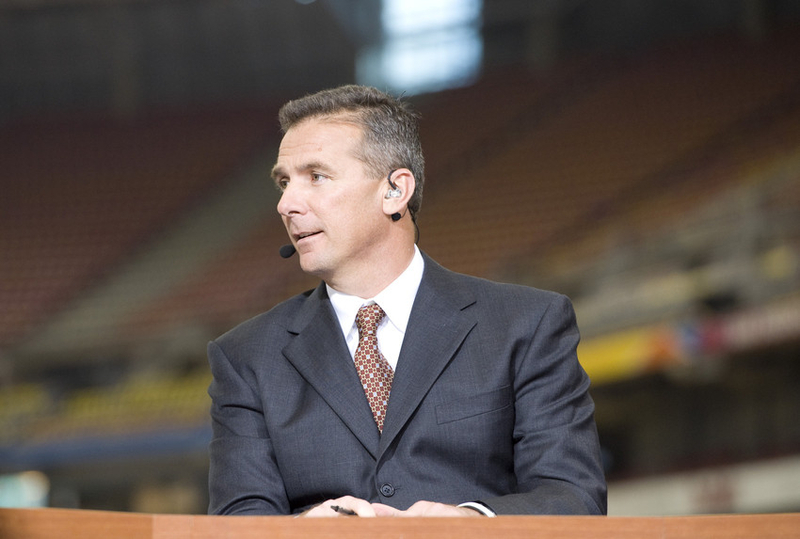 While it’s unknown where Meyer would be placed, it’s realistic to envision him in either a studio or game analyst role, along with the possibility of going on Fox’s various debate shows. In his final season as Ohio State coach, Meyer was suspended three games at the start of the season for his role in knowing about suspected domestic abuse between assistant coach Zach Smith and Smith’s now ex-wife long before Meyer claimed to have found out and fired Smith from the Ohio State staff. Meyer announced his retirement in December, citing health issues dealing with a brain cyst that causes headaches. When Meyer retired, we speculated where Meyer might go if he were to get back into TV. While multiple networks were likely interested, Fox seemed like the perfect spot. For one thing, Fox didn’t really cover the Zach Smith situation as ESPN did. You would have to have more than debate shows and have an actual newsdesk instead of “pivoting to video” in order to do that. Plus, on top of Ohio State alums-turned-Fox employees Robert Smith, Chris Spielman, and Cris Carter defending Meyer throughout, Gus Johnson really laid the story on thick during Ohio State’s win over Michigan. After barely covering the actual news about Zach Smith and people’s defense of Meyer, it’s not surprising that he would view Fox Sports so favorably that he would sign with them.